This is another one of those “I’ll just take a few minutes to see what the idea will look like” photoshop chops. 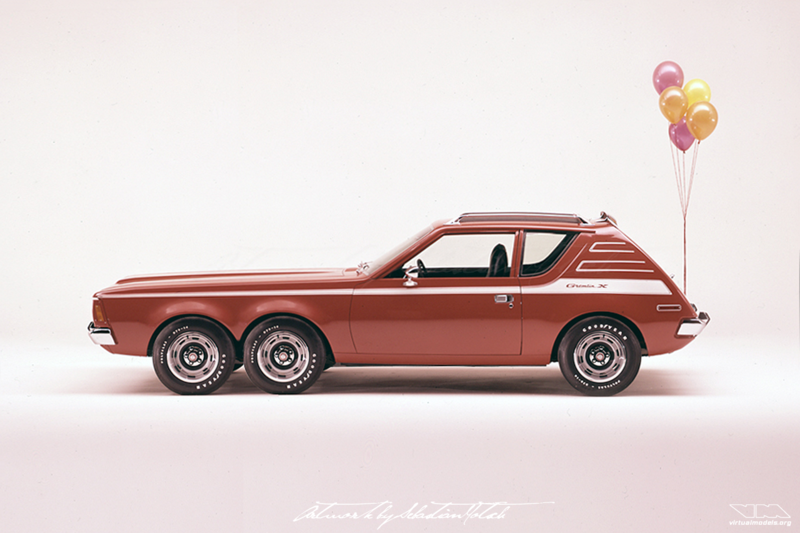 The AMC Gremlin X undoubtedly has odd proportions, so why shouldn’t somebody want to add an extra front axle, similar to the Tyrell Formula 1 car? Totally understandable, isn’t it?